Pleiades JOANNE travelled all the way to Miami! During Art Basel Miami, our NYC-based showroom Dreams on Air team hosted a pop-up store at Shore Club South Beach. 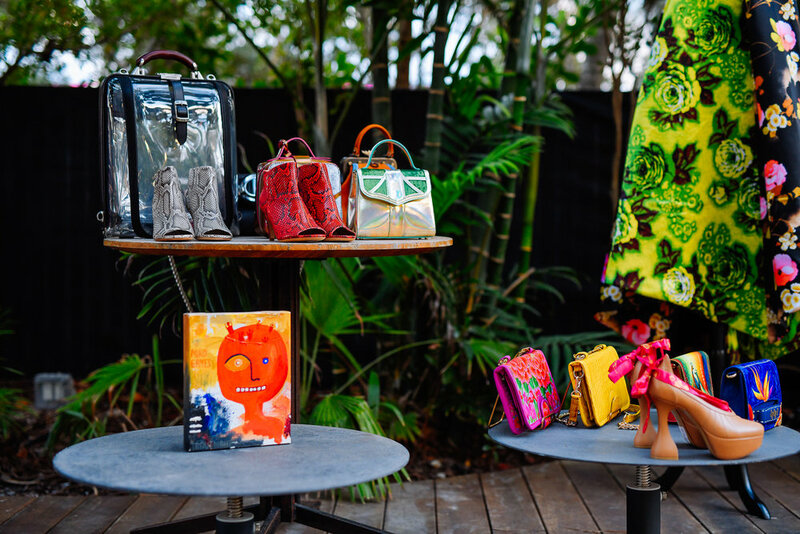 In a beautiful private garden by the pool, selection of designers showed their works along with a series of art projects by Miami-based photographer Messi Schneider and NY-based stylist Guvanch Agajumayev. JOANNE is from our very first collection, ‘Gisaengs’. However, as you may be aware of, any of our styles are available at any times :)! JOANNE can be customised with your choice of 100% Korean silk straps, and the shoes are available in Camel / Ivory.